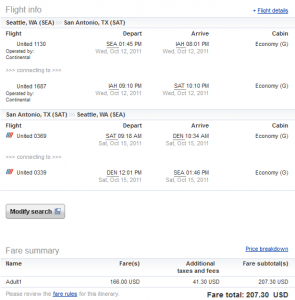 The Flight Deal | United/Continental: Seattle – San Antonio, Texas. $207. Roundtrip including all taxes and fees. 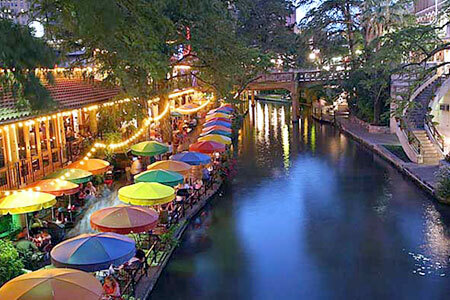 United/Continental: Seattle – San Antonio, Texas. $207. 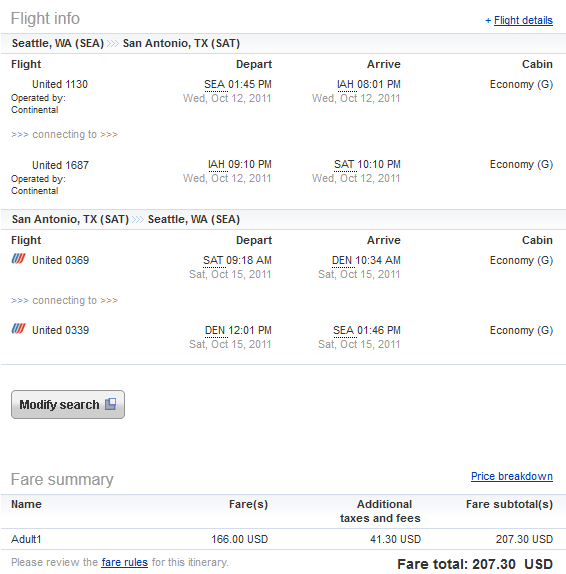 Roundtrip including all taxes and fees. A nice sale to San Antonio — there are tons of things to do, including fine art museums, historical missions, and plenty of amusement parks in addition to great dining and lots of drinking. October 12th – October 15th. Valid for travel until December 14th, 2011 for Tuesday, Wednesday, and Saturday travel. Use http://matrix.itasoftware.com and flexible month search to see exact availability. Bookable on United.com. United’s risk free cancellation policy here.